North and uphill from spreading Galata and Karaköy, the district of Taksim (Beyoglu) is the beating heart of modern İstanbul. 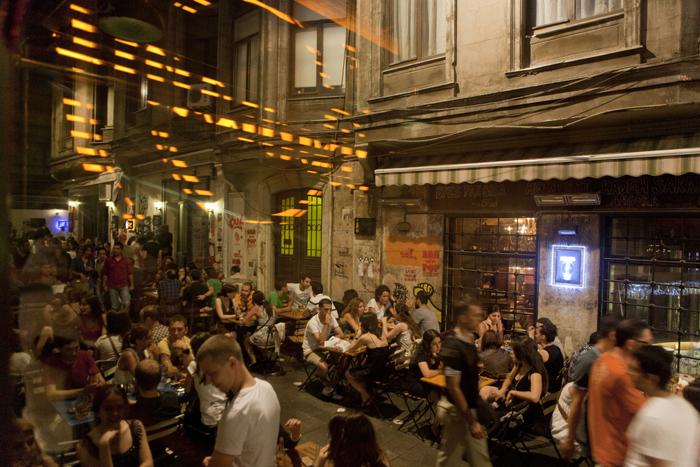 Locals head in especially droves to Istiklal Caddesi, to shop, wine and dine, take in a film, club, gig or gallery. So, too, make an ever-increasing number of visitors, who choose themselves here to make use of the nightlife. 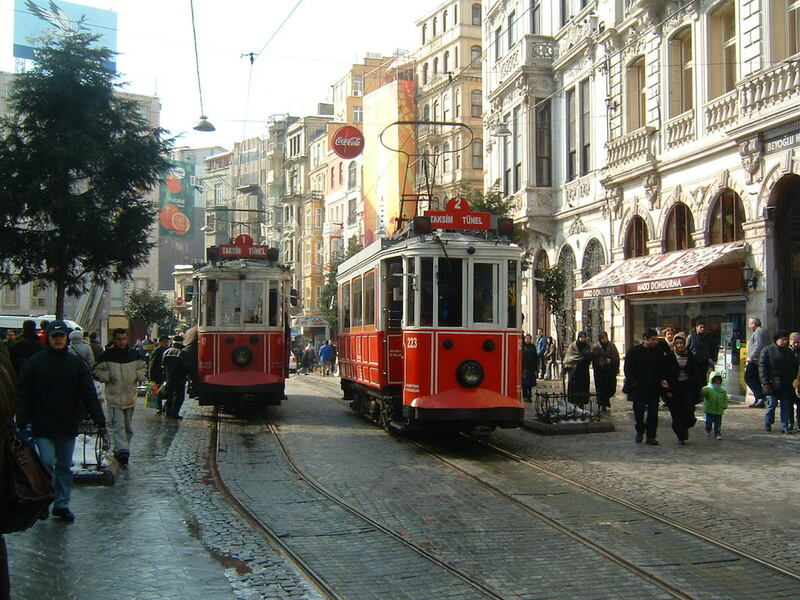 Beyoglu’s most important part, Istiklal Caddesi, boasts a sweety antique tramway, and with life virtually twenty-four hours a day. 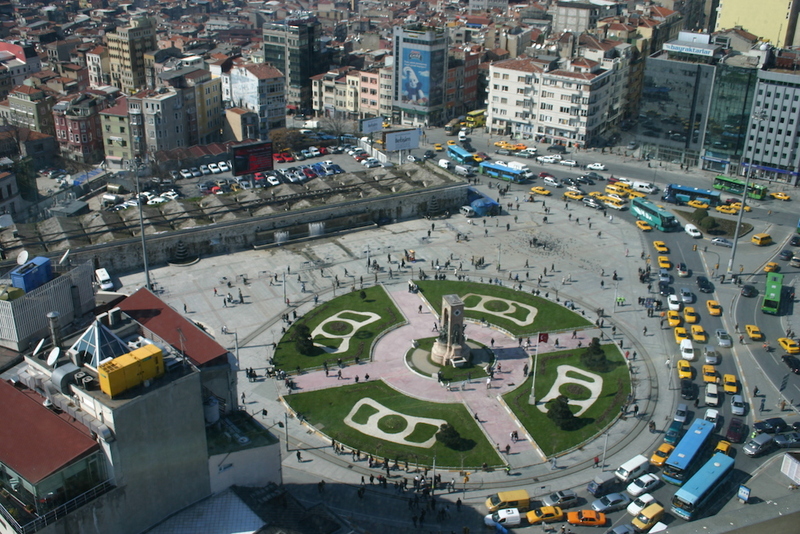 Massive Taksim Square, at its northern end, is regarded as a symbol of the secular Turkish Republic, and holds numerous hotels as well as traditional bus and metro terminals. Side streets hereabouts are host to scores of lively bars, clubs and restaurants, many of which stay open until six in the morning. 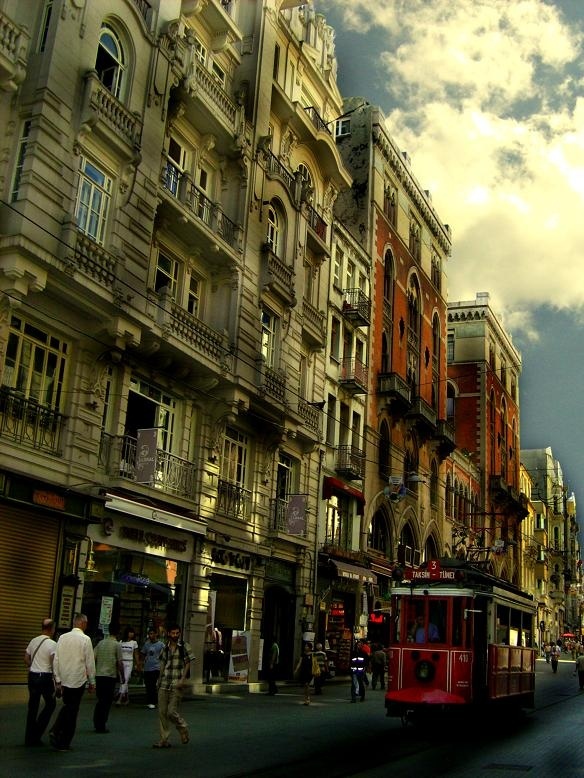 Beyoğlu is first European face of Istanbul.This wonderful place experienced the firsts;for example that the first hairdresser, the firs ballet school, the special educating institutions about art,science and maths opened here.Also it was a symbol of the modernization;the first modern clothes and hat were displayed in Beyoglu. Located in European side of Istanbul,this fascinating place transformed into a rainbow combining with the colors of various country today from past. 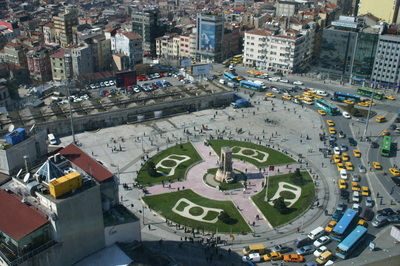 A main center of many different cultures,traditions and customs, Beyoglu has hosted modern and ancient civilizations.Its history is based on Byzantine Era.At the beginning of its history.In Galata, region of Beyoglu ,surrogated the city walls, there was a colony belonging to Genovese.That colony included Latin people,Catholic schools,church and convent.But after the trade ways started to develop, many colony from Venice,Pisa,France,Netherland and England were found here.An every colony contributed to their traditions,architectural style.For example that in 16th century,it is seen that there was a great plague in Europe,due to that plague many European such as English and the French immigrated to Beyoglu from Europe.The French found a colony and built famous French Palace which is used as a consulate today.Like the French,the English built magnificent British Palace used as a consulate today. All collection of history Beyoglu owes Istiklal Street, that street attracts ıts features to people. When you take a step into this dreamy street, you says first wow !because there are many different magnificent sectors put in same place. 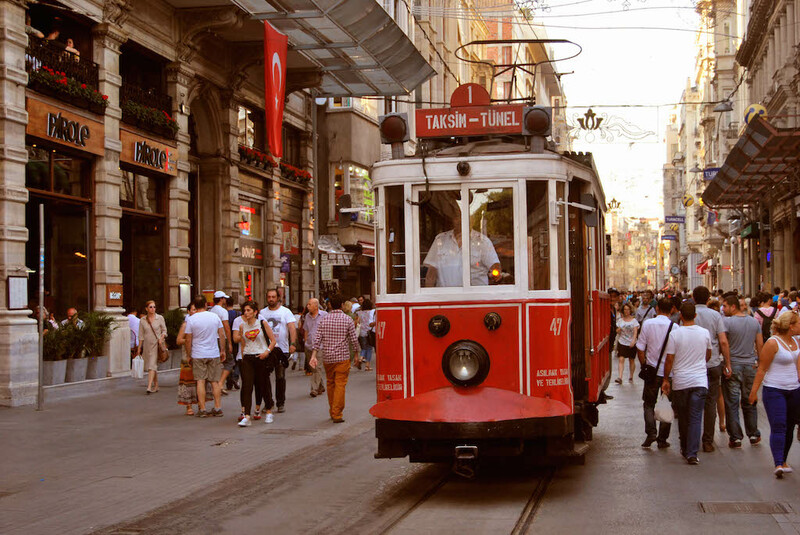 Cafes, bars, education institutions and the other amusement places create a perfect atmosphere upon that street.Furthermore there are many reasons made different Istiklal Street. 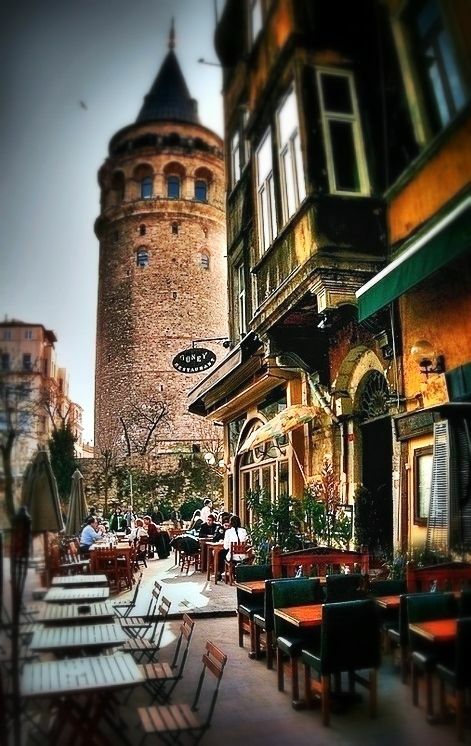 One reason ''Asmalımescid''; Many cafes, restaurants and art studios are located in Asmalımescit (Asmalımosgue) which takes a place in Istiklal street. In the nights the people go to the party organised every night and to the bistros to fun, also the famed groups and artists attain those parties. The second reason ''Galip Dervish Street''; there is another street named Galip Dervish Street is located here. Displayed the low comedy, puppet theatres at the Ottoman period and now every kind of music stores take a place street causes the people make a joyous journerney. Third reason ''Tom Neigbourhood''; Found the most elit night clubs ,in the end of that street Art Center which is the most effective and independent welcomes the visitors.When you pass that street,you will see crowded and multicoloured spaces.You shoul taste the wonderful local foods and delights. Five reason ''New Angel Street ''(Yeni Melek Sokak in Turkish); If you want to make a journey to the old times,that street appropriates for you.Because it includes the places reflecting the musics of the '70s,'80s,'90s and a dreamy atmosphere. 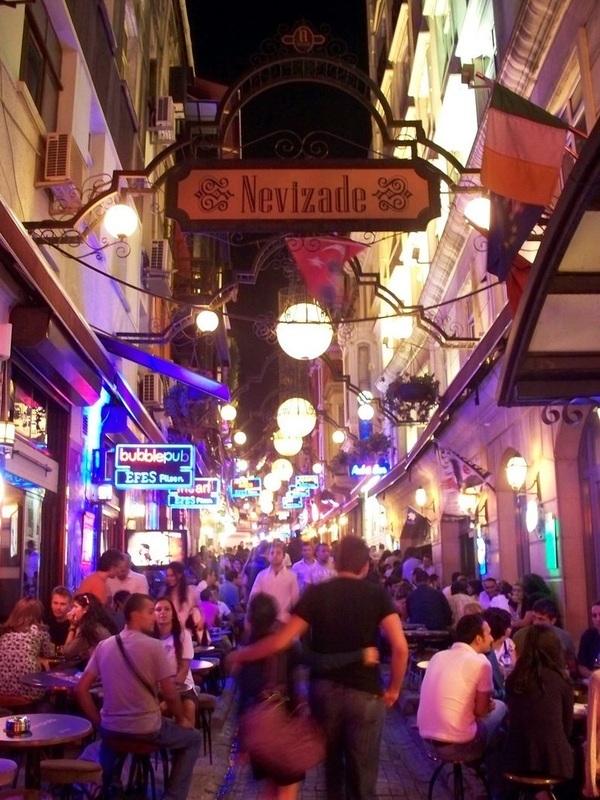 Sixth reason '' Little Beyoglu Street''; It is always a heart of the nightlife despite it is little.Because it carries a unique aura and it goes the people beyond of the life. After Ottomans,the system of trading advanced.That muslim people found Galata Mevlevihane which is a lodge used by mevlevi dervishes and politicians.It is located in a terrain given as a peresent to well known Iskender Pasha by Ottoman Sultan Beyazıt II.Also Beyazıt II built the first mosque in this region.This mosque has been named after Asmalı mosque that includes very important amusement centers and is surrogated flowers named Asmalı. In the same period,Acemioglu Kıslası(Acemioglu Military Post was found and the number of muslims increased toward 15th century.After that military post was turned into Galatasaray Highschool which is most rooted and high-quality education center. 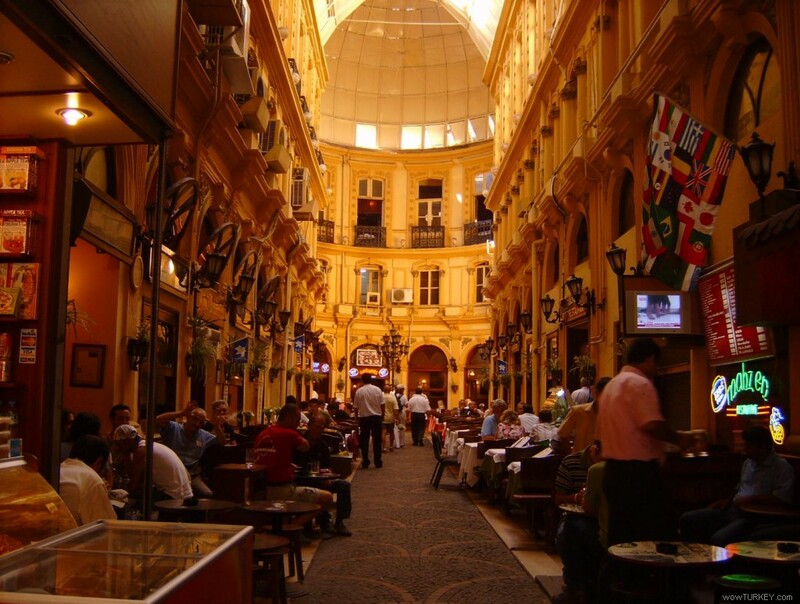 Additionally,both Europeans and Turks contributed by building fascinating shopping-center ,lux and elegant structures in Pera,a region of Beyoglu. In 19th century,Tanzimat Reform Era,the Ottoman people began to keep up with the West,also all noble,educated and rich families adopted themselves European life style. They used European style toilet and followed European fashion.With this change caused famous Istiklal Street advanced.It fed both European's and Turks'cultural, architecrural style.Therefore today, it has still created the difference with its unique structure. 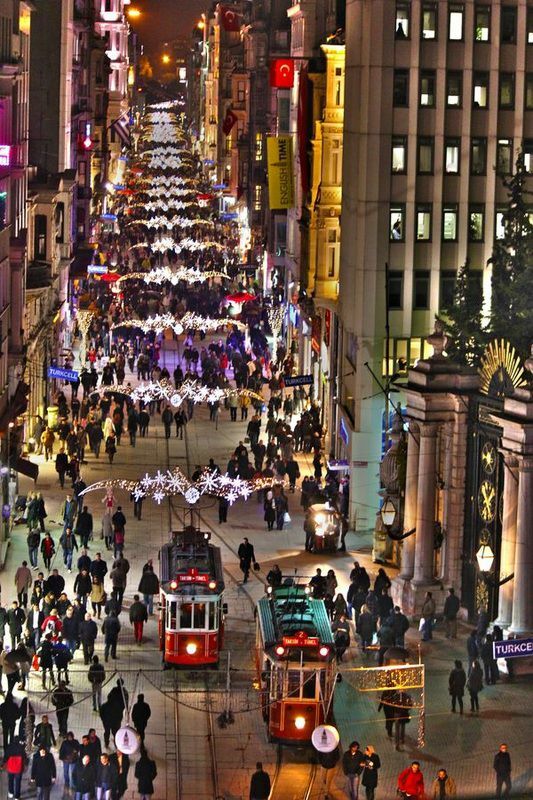 Because of that Istiklal Street is a microcosm of the world. Additionally, in 19th century the Ottoman Sultan Abdulaziz made many progress.He furnished with the stones to the streets,built sewer system and water tunnels to provide the need of water.Those tunnels were hidden. But after years, they are figured out in our today. Second underground public service vehicle of the world, horsecar and electric tramway built in that time. In 20 th century,despite wars and invasions,the specially Istiklal Street has lived its gold age with unique cafes,lux hotels,cinema and theatre.Especially Russian people escaping 1917 October Revolution reflected their culture,music style in that famous street. Today,that fascinating street is a very important place many various language are told and including people from all root and culture. THE CENTRAL OF THE WORLD LEADERS "ISTIKLAL STREET"
Today from past,the street has protected the working locations belonging to the main religions with their historical and cultural features.The mosques,the churches and synagogues have carried on their activities to provide life style and the religions of different cultures and worships. So let’s look at those worships. Built for the sake of Saint Fransua in 1230,church was named as Hagia Sophia of Latins.Fter years, turned into a basillica in 1932, church has continued its fame and uniqueness as biggest and crowded church. 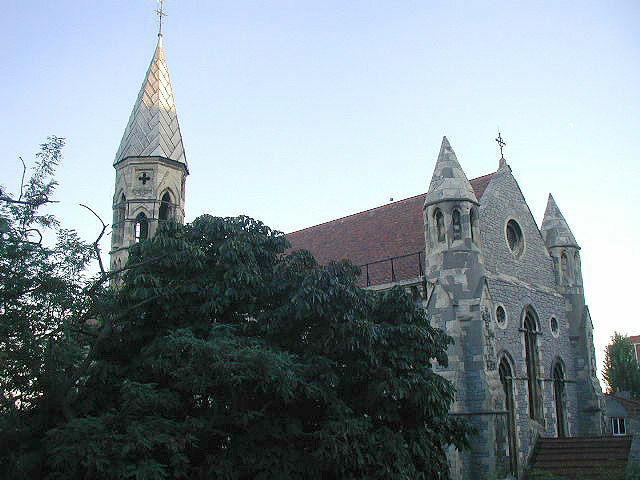 It is a church built by the Englis in memory of that event in 1868,after the Krym War.Then it was allocated by Ottoman Sultan Abdulmecit in the memory of the English soldiers attending in Krym War. The church with neogothic style and a magnificent structure attracts the people.While the black stones used in church were brought in Büyükada,the yellow stones used in the window sides and corners were brought from Maltha Island. The church was closed in 1970 because there was no people enough but then in 1991,it was opened again at the request of Anglikan refugees from Sri Lanka and it was governed by Anglikan Priest Ian Sherwood. You can see that sweety church at the right when you walk down the Kumabaracı Street. Firstly built by Fransiskens(a kind of religious group) in Sirkeci(a city of Istanbul),that church was rebuilt by Madam Clara Draperis after an unfortunate fire.It had experienced again and again with the fire since it was found. 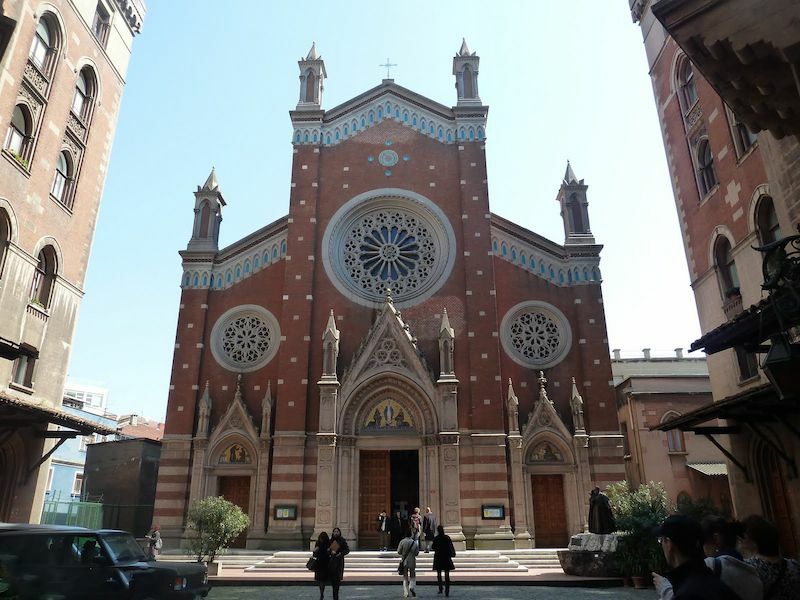 But at last, today's church was rebuilt by great Italian architect Guglielmo Semprini bt order of Ottoman Sultan Abdulhamit II in 1904. It is only active Askenaz Synagogue in Istanbul.Its architecture attracts the people with its runnel shaped horseshoe and carved stalactite reflecting Ottoman art.Additionally it fascinates the visitors its horseshoe shaped tablet written the ten commandments.